NREMT Refresher Includes Skills Competency Verification. 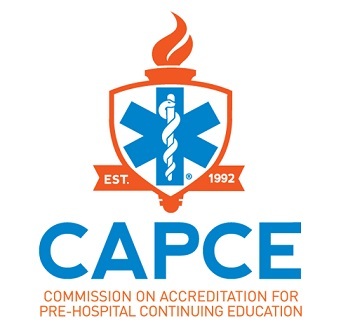 This 24 Hour (3-Day), NREMT compliant, Commission on Accreditation for Prehospital Continuing Education (CAPCE) accredited course is also certified through the California and San Diego County EMS Authority and follows the U.S. Department of Transportation (DOT) National Standard Curriculum for Emergency Medical Technician Refresher. Students are trained according to the standards outlined above. Students who successfully pass the course, will be issued certification identifying the number of hours obtained for training for the use of re-registration as an EMT under the National Registry of Emergency Medical Technicians as well as EMT recertification through continuing education hours for both California and San Diego County. If you are looking to get CPR Certification, you can register by Clicking Here.